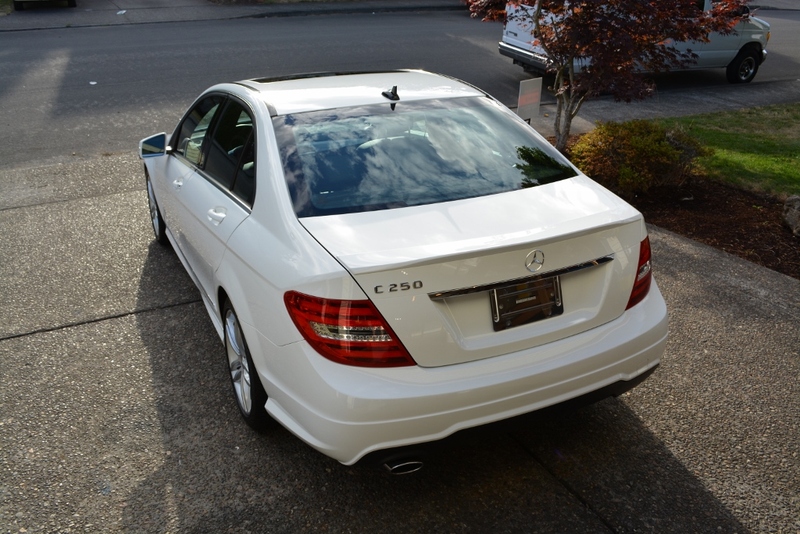 This Mercedes Benz C250 was recently purchased by one of our long time customers as a certified pre-owned car. After enjoying the car for several weeks it was eventually parked under a rather “drippy” tree on one of our recent hot summer days. Unfortunately the resulting tree sap had dripped onto nearly every panel of the vehicle causing a very sticky mess. Tree sap is a terrible problem for automotive paint because it contains chemicals that can quickly etch into clear coat and permanently damage the finish if left unattended to. Here are some photographs of the pre-inspection prior to washing or otherwise touching the vehicle. During this process we thoroughly inspect the vehicle to formulate a smart plan of attack for the professional detail treatment that will follow. The paint had a thick layer of traffic film that would need to be carefully address as well. Traffic film (aka road grime) is a combination of dirt, oil, sand, tar, various automotive chemicals and other roadway particulates that form a strong bond with automotive surfaces. This film is especially troublesome after a fresh rain following a long stretch of dry weather because there is a stronger dilution of oil and other chemicals present on the roadways. 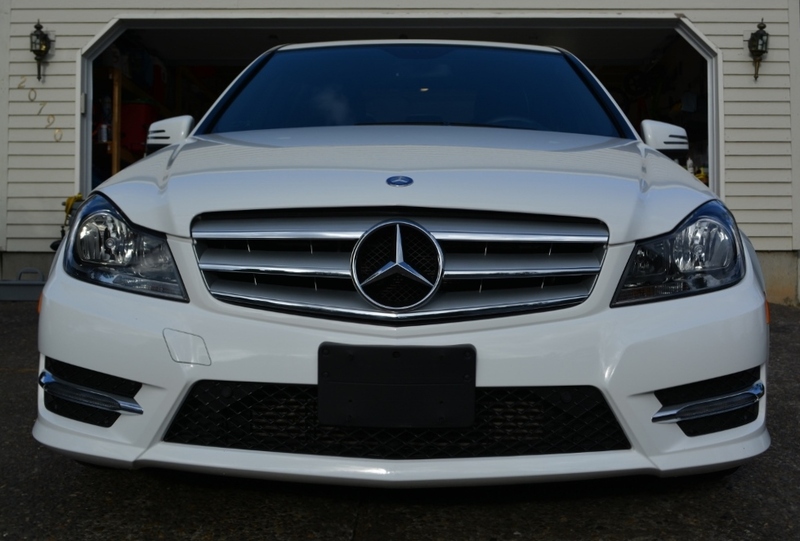 After the vehicle was thoroughly inspected the detail process began. To start off the engine was thoroughly detailed with various brushes and chemicals. Finally a water based dressing was applied to all plastics to provide a rather pleasant matte black finish. Next the vehicle was treated to a luxurious citrus snow foam bath. This process begins to dissolve and encapsulates heavy particulates on the vehicle. 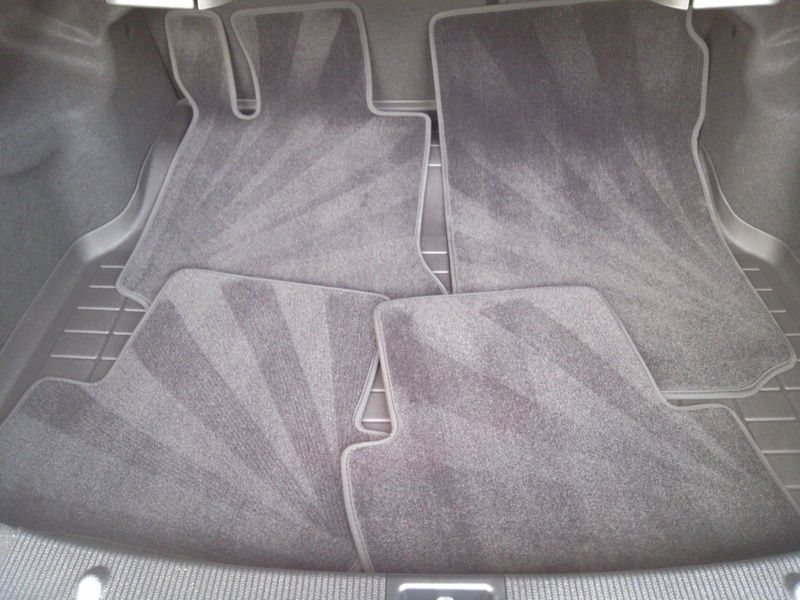 A premium two bucket method wash is followed to completely rid the vehicle from all dirt and filth. 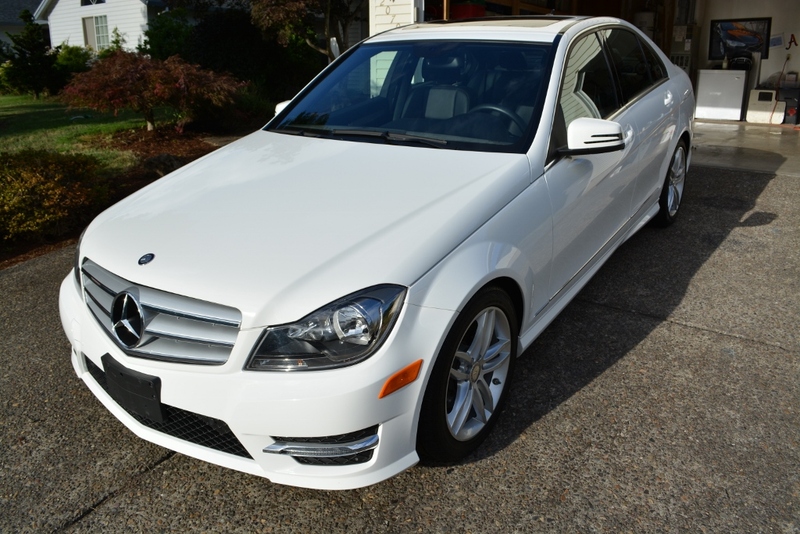 After a thorough wash the vehicle was decontaminated using a special clay bar and lubricant. This process removes above surface contaminates like brake dust, some tree sap, industrial fallout, paint over spray, and other bonded particulates. This process safely removes contamination that washing alone cannot. Next was time to address the extraordinary amount of tree sap that covered the entire vehicle. This process is painstakingly thorough to ensure all traces of sap are completely removed. We used a special chemical process to break down the sap and gently remove it from all paint, glass, and trim. If you look carefully you will see a slight “ghost” of where the tree sap has etched into the clear coat. Unfortunately this damage is permanent and serves as a warning for why it is incredibly important to always keep your vehicle protected with a durable sealant or coating. 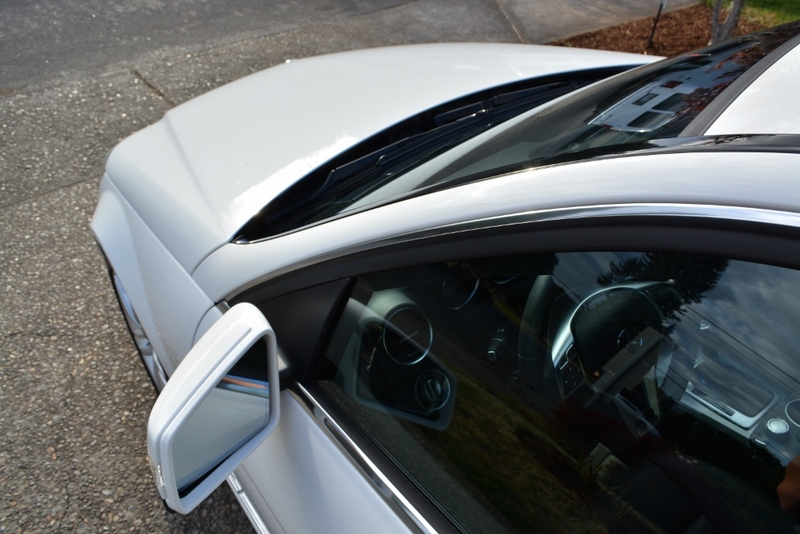 Next the windshield wipers and glass were completely decontaminated and polished to ensure a surgically clean surface prior to installing CQuartz FlyBy30 hydrophobic windshield coating. FlyBy30 provides a hydrophobic effect (similar to Rain-X) and lasts for up to 6 months without needing re-application. The coating also cures as hard as glass which protects the underlying surface from wiper abrasion and light surface scuffs. 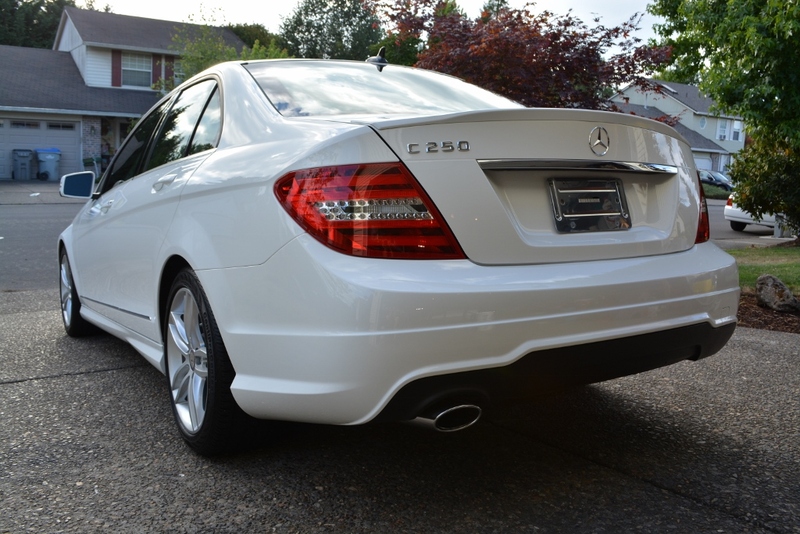 A premium detail treatment isn’t complete without polished exhaust tips! The interior was given a luxury cleaning treatment to match the exterior. The nav screen seemed to have been improperly cleaned at the dealership. Unfortunately this is all too common in dealership detail departments since they don’t have the time or skill necessary to properly detail any of the vehicles they are responsible for. 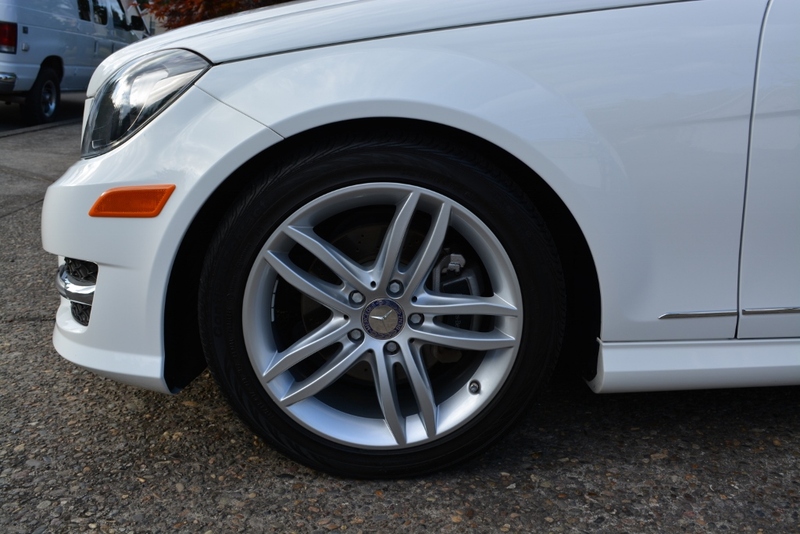 For more information about the detail services we provide please visit out detailing service menu and follow along in our detailing adventures on Facebook and Twitter.